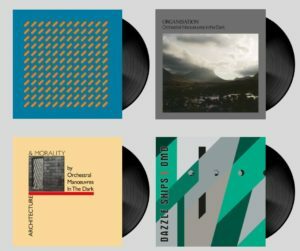 In an accolade already accorded to ENO, JAPAN, SIMPLE MINDS, ABBA and THE POLICE, OMD’s first four landmark long players ‘Orchestral Manoeuvres In The Dark’, ‘Organisation’, ‘Architecture & Morality’ and ‘Dazzle Ships’ are being reissued as Half Speed Abbey Road vinyl remasters. 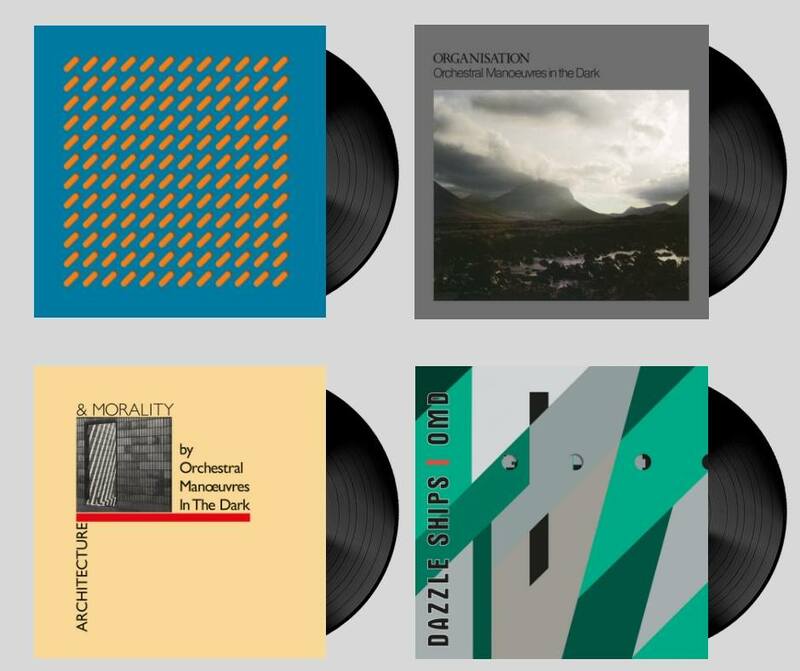 Packaged in reproductions of their original Peter Saville designed sleeves complete with die-cuts where appropriate, these releases from Universal Music reaffirm OMD’s often forgotten role as premier electronic pop pioneers. 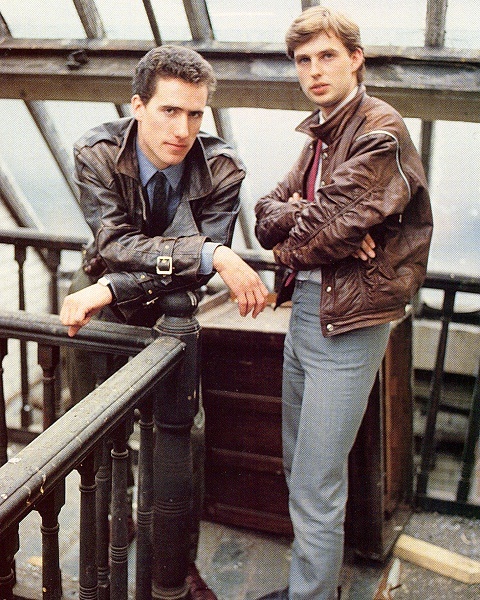 Originally released in February 1980 on the Factory Records inspired Virgin subsidiary Dindisc Records, ‘Orchestral Manoeuvres In The Dark’ was a promising debut album from Andy McCluskey and Paul Humphreys, two lads from The Wirral who had finally been able realise their passion for electronic music following the purchase of a Korg M500 Micro-Preset synthesizer paid for in instalments via a mail order catalogue. 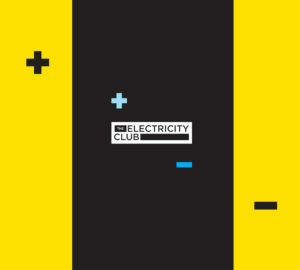 Featuring their third released version of ‘Electricity’, the album also included their chanty commentary on the mechanics of war entitled ‘Bunker Soldiers’. Away from these energetic post-punk synth numbers, on the other side of the coin were ‘Almost’ and ‘The Messerschmitt Twins’, two emotive synth ballads that were equal to KRAFTWERK’s ‘Neon Lights’. However, their naivety was exposed by the inclusion of the quirky instrumental ‘Dancing’ which OMD even dared to play live during their BBC TV debut on ‘Old Grey Whistle Test’! Even early on in their career, OMD’s concerns about the music industry machine were looming in ‘Julia’s Song’ and ‘Pretending To See The Future’; the latter was outstripped a few months later by a John Peel session version which formed the basis of the full live band rendition when McCluskey and Humphreys retired Winston, their TEAC A3340S tape recorder which had accompanied them on their breakthrough tour opening for GARY NUMAN in Autumn 1979. OMD’s debut now comes over like a time capsule; ‘Red Frame / White Light’, a lightweight synthpop tune celebrating the 632 3003 phone box that acted as the band’s office captured an era before mobiles and the internet, while in honour of good old fashioned love letter writing, ‘Messages’ was at this point just a song with potential as a single. Indeed, it was only when ‘Messages’ was re-recorded, produced by Mike Howlett with Malcolm Holmes adding drums, that led to a No13 hit in June 1980 and ultimately the ‘Organisation’ album which came out in October 1980. More gothic in nature, the album began misleadingly with the melodic Motorik lattice that was ‘Enola Gay’. With its iconic Roland CR78 Compurhythm pattern and wordplay referring to the horrific bombing of Hiroshima by the Boeing B29 Superfortress flown by Colonel Paul Tibbets named after his mother, ‘Enola Gay’ was a clever observational statement about the first ever operational use of nuclear weapons. Massively popular in France and Italy, it also reached No8 in the UK singles chart. But alongside ‘Enola Gay’ on this much more mature long player, there was also the hypnotic beauty of the often under rated ‘2nd Thought’ and ‘Statues’, the brooding Ian Curtis tribute which was built around an Elgam Symphony organ’s auto-accompaniment. With the purchase of a Sequential Circuits Prophet 5, Humphreys began exploring. Often using brassy tones set slightly out of tune for some haunting overtones, it made its presence felt on tracks like ‘The Misunderstanding’ and ‘Stanlow’. As with the debut, there were a few missteps like the JOY DIVISION aping cover of ‘The More I See You’ which was different if nothing else, while the SPARKS inspired ‘Motion & Heart’ would be improved as a reworked ‘Amazon Version’ for an abandoned follow-up 45 to ‘Enola Gay’. 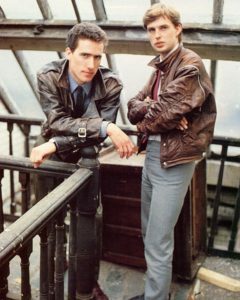 With two albums released in nine months, their first Top 10 hit and the biggest record sales of 1980 in the Virgin Records group, a triumphant concert at Hammersmith Odeon that December which concluded with an unexpected massed stage invasion, ended a brilliant year for OMD. But McCluskey and Humphreys could not have foreseen that 1981 would see them get even bigger. Although Mike Howlett worked on the ethereal tape choir centred ‘Souvenir’, which was co-written by live keyboardist Martin Cooper and became OMD’s first Top 3 in September 1981, scheduling issues meant Humphreys and McCluskey self-produced what would become ‘Architecture & Morality’ with engineer Richard Manwaring, released in November 1981. Featuring two spirited songs about ‘Joan Of Arc’, these were to become another pair of UK Top 5 hits with the ‘Maid of Orleans’ variant also becoming 1982’s biggest selling single in West Germany when Der Bundesrepublik was the biggest Western music market after the USA and Japan. The big booming ambience of the ‘Architecture & Morality’ album next to big blocks of Mellotron choir gave OMD their masterpiece, tinged more with the spectre of LA DÜSSELDORF rather than KRAFTWERK. The ENO-esque percussive six string thrash of ‘The New Stone Age’, the bouncy but moody ‘Georgia’ and the guitar assisted choral beauty of ‘The Beginning & The End’ demonstrated OMD’s musical ambition. Meanwhile, the ringing theme of PINK FLOYD’s ‘Time’ was borrowed for the instrumental title track and the epic overtures of the almost wordless ‘Sealand’ also confirmed Humphreys’ affinity with progressive rock. Meanwhile in ‘She’s Leaving’, there was a big fourth hit single in-waiting from the album characterised by its sweet melodies, forlorn vocals and crunchy electronic percussion; “We got hold of some Pearl syndrums and we were all messing around in the control room with little white noises and stuff like that” Holmes remembered. But thanks to McCluskey’s belligerence in vetoing its UK single release, that hit never happened, something he would later regret as Top 5 hit singles were to become less automatic a year later as OMD hit something of an existential crisis. One thing successful bands should never do is stray off their vision. 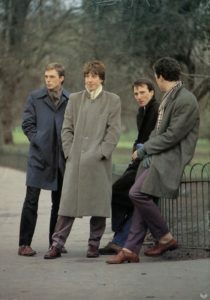 But OMD listened to criticisms that their cryptic songs about inanimate objects and deceased historical figures had no relevance in fighting political injustices; of course this view was coming from journalists on a mission, who were rather hypocritically living off expense accounts and sipping cocktails in fancy hotels! 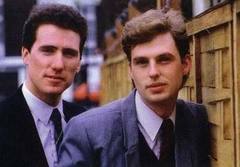 With their label Dindisc also folding, OMD were absorbed into the main Virgin Records group. A little bit lost, McCluskey and Humphreys returned to the experimental bedroom ethos of their pre-fame VCL XI days and “got angry” with Emulators and a Sony short wave radio; the disillusionment led to the ambitious if flawed ‘Dazzle Ships’ released in March 1983. A fractured statement on the state of the world with a conceptual approach not dissimilar to KRAFTWERK’s ‘Radio-Activity’, it was characterised by short abstract pieces which over time have mostly proved to have worked. Ironically, one that didn’t work was ‘Time Zones’, a snapshot of the world through telecommunications which outstayed its welcome by at least half a minute. Although ‘ABC Auto-Industry’ was an amusing novelty piece that needed some accompanying performance art for it to really make sense, the sample heavy ‘Dazzle Ships (Parts II, III & VII)’ captured the tension of an underwater battle while ‘Radio Prague’ symbolised the spectre of The Cold War, a theme that would be explored within a Germanic pop context, crossing NEU! with KRAFTWERK on the magnificent ‘Radio Waves’. Salvaged from earlier B-sides, ‘The Romance Of The Telescope’ and ‘Of All The Things We Made’ highlighted the shortfall in material but their inclusion was justified by their serene quality, but they were significantly not the best tracks on ‘Dazzle Ships’. Echoing the bassline movements of JOY DIVISION’s ‘Atmosphere’ and laced with mournful Emulator strings, the solemn but beautiful ‘Silent Running’ offered a perfect metaphor for misguided neutrality. Most harrowing though was the news report about “a young girl from Nicaragua whose hands had been cut off at the wrists by the former Somoza guards…” that began the waltz-driven ‘International’ with McCluskey’s anger about economic corruption, political hypocrisy and torture in captivity still sadly relevant today. Although savaged by critics on its initial release and ultimately resetting the course of OMD, this nautical adventure has now been reassessed by many as a lost work of genius. It’s not quite that, but it is certainly a much better album than it was originally perceived to be. Their Dindisc Records boss Carol Wilson said that McCluskey and Humphreys “didn’t know whether they wanted to be JOY DIVISION or ABBA!”, summing up their awkward but ultimately rewarding musical ethos. But after the commercial failure of ‘Dazzle Ships’, OMD headed to the Caribbean and then Hollywood which brought them American singular success with ‘If You Leave’ before imploding after a US tour opening for DEPECHE MODE in 1988. And while McCluskey maintained sporadic success with the OMD brand for a number of years, it would take a reunion with Humphreys and 2013’s ‘English Electric’ to deliver a body of work that was equal to this wonderful quartet of albums. With regards OMD’s continuing appeal today, Mal Holmes said “The reason why we’re here is because the first three albums were f***ing great”, although he could be forgiven for not being a total fan of ‘Dazzle Ships’ having only played on three of its tracks! Despite artists as varied as Vince Clarke, Steve Hillage, Moby, Darren Hayes and James Murphy all publically expressing their admiration for OMD over the years and riffs from these classic albums being lifted by acts as diverse as INXS, LEFTFIELD, LADYTRON and MARINA & THE DIAMONDS, some commentators have complained they could not be taken as seriously as say DEPECHE MODE because they were not dark enough. The death of over 100,000 people by nuclear attack and the brutal execution of a teenage girl can hardly be considered lightweight; now there are not many artists that can claim to have had worldwide hit singles about those very topics! 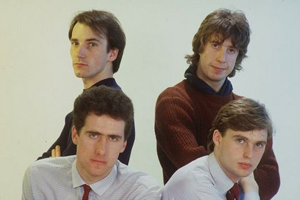 OMD’s ultimate legacy was to successfully combine warm catchy synth melodies and infectious technologically framed rhythms with harsh subject matter in a manner that worked on many levels. Beyond any standard pop convention, this was something that was and still is quite unique.